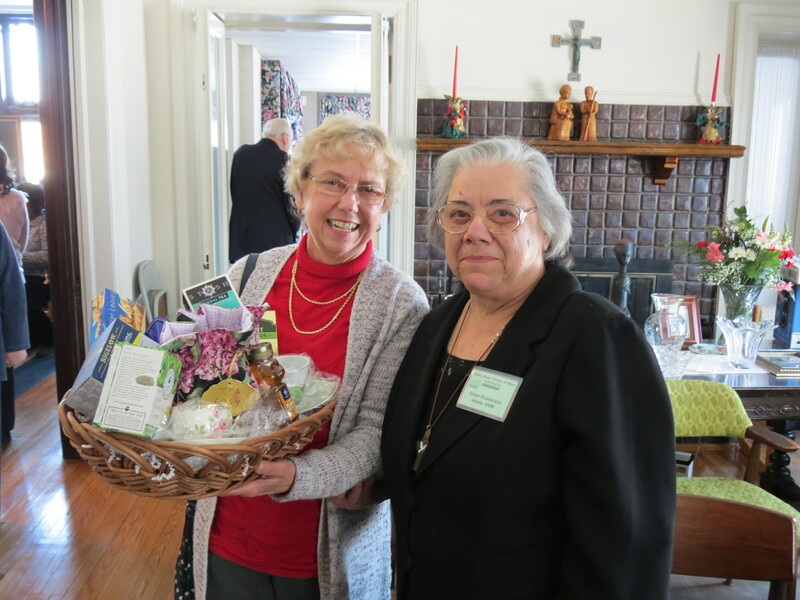 An enjoyable and very successful fundraising tea was held at the SHVM convent in Detroit on February 15, raising almost $1,600 for the Little Angels School in rural Ichama, Benue state, Nigeria where HVM Sisters Calista and Helen serve as headmistress and teachers. 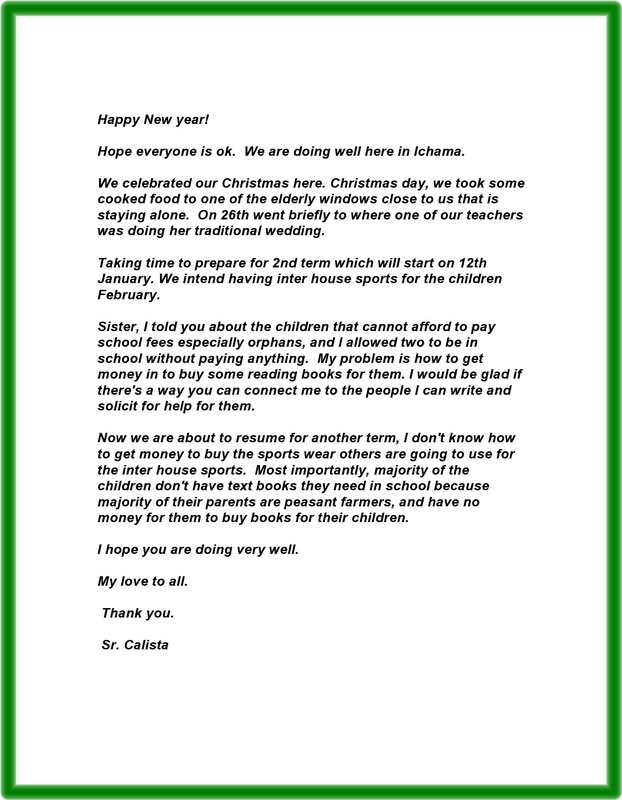 Click here and here to see Sr. Calista’s heartfelt and moving letters from Ichama. The event brought together an eclectic group of people united by their interest in the current and former residents of 121 E. Boston Boulevard. 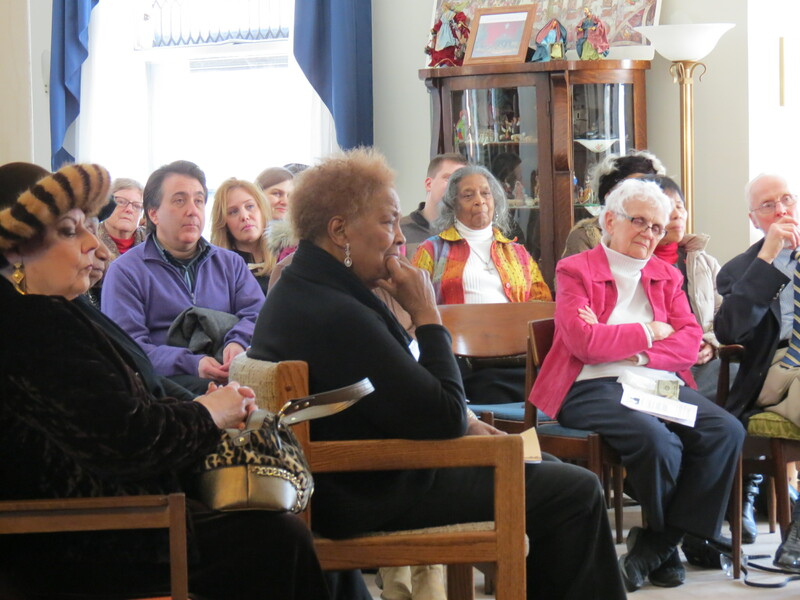 Some attendees were perhaps not entirely familiar with the current residents – our good Sisters Home Visitors of Mary. To those people we hope you felt warmly welcomed into our home. May you be counted among our friends for many years to come! But every Detroiter is familiar with the name J.L. Hudson. Mr. Joseph Lowthian Hudson purchased the house and grounds in 1911 and lived here until his untimely death the following year in July 1912. But his family and close relatives continued to reside here until 1926. So in a very real sense this beautiful property was the J.L. Hudson house in one of the most fashionable neighborhoods of Detroit for 15 years. Most notably, his widowed sister Eliza Clay and his beloved young niece Eleanor Lowthian Clay continued to reside at 121 E. Boston Blvd. 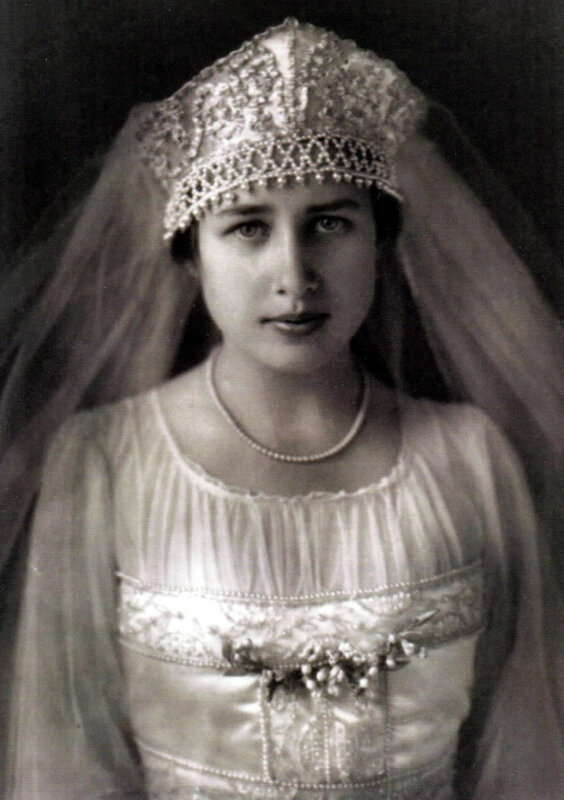 Eleanor was only 16 when her uncle Joseph died. 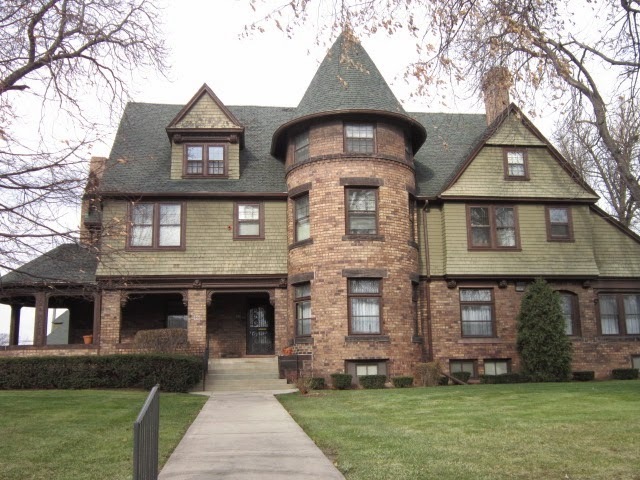 Eleanor Lowthian Clay is now better known by her married name – Eleanor Clay Ford – stemming from her 1916 marriage in this very house to Edsel Ford the only child of Henry and Clara Ford. The marriage vows were exchanged in front of the fireplace in the first floor library that now fittingly serves as chapel for the Sisters. Persons present at the wedding naturally included the proud father and mother of the groom, Henry and Clara Ford, and special guests Thomas A. Edison and his wife Mina. The newly married Edsel and Eleanor Clay Ford together went on to have four children: Henry Ford II (1917–1987), Benson Ford (1919–1978), Josephine Clay Ford (1923–2005), and William Clay Ford (1925–2014). 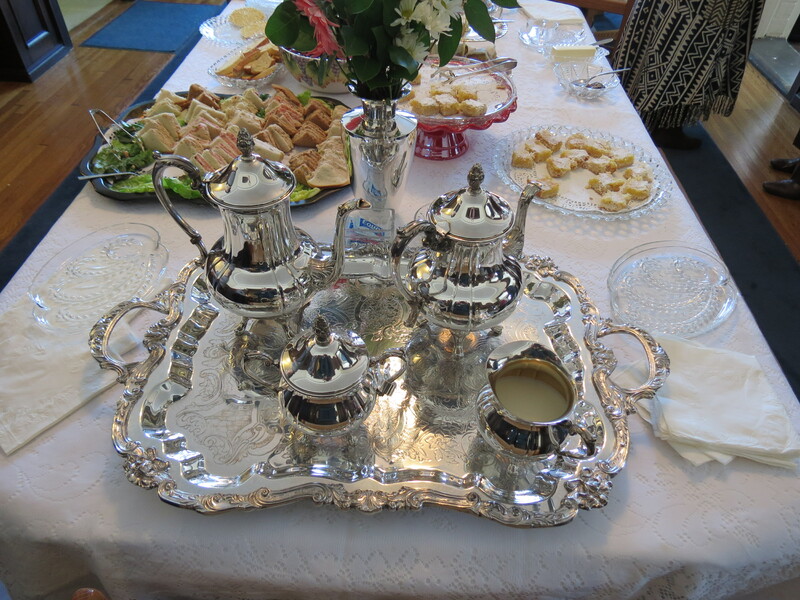 The afternoon tea was anchored by two events – one delicious and one fascinating – both wonderfully enjoyable. The tea service and accompanying food and deserts were heavenly sent! 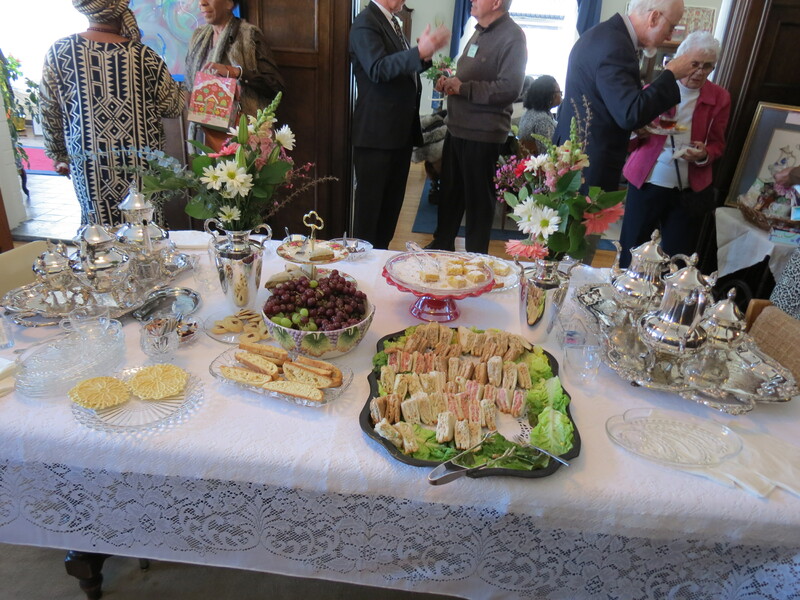 Visitors were able to chat, meet new friends over tea and snacks, and tour all areas of the entire 1st floor. 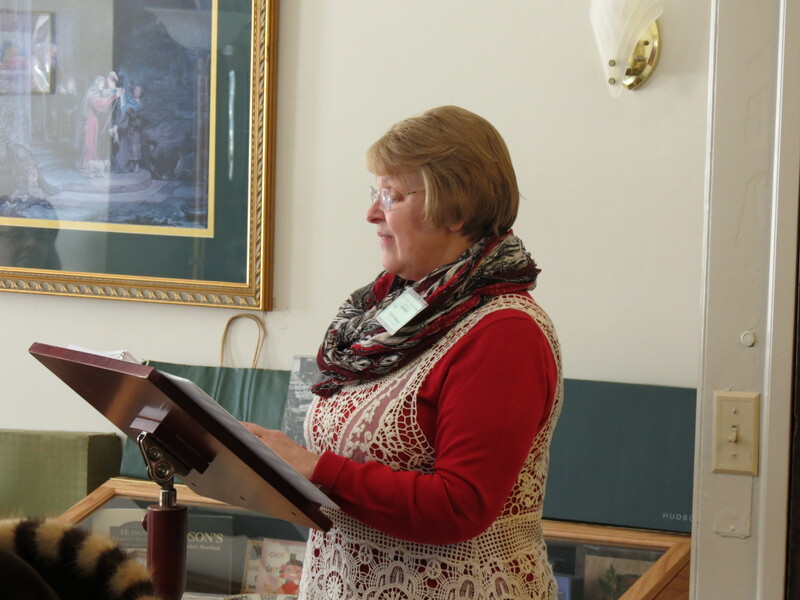 The feature event of the afternoon was a superb presentation by Phyllis Barkey entitled “J.L. Hudson and his Magnificent Store”. Phyllis is a widely known historian of J.L. Hudson and the Hudson’s department stores. Her specialties include the Mezzanine Tea Room and the 13th floor dining rooms in the former downtown store. She has given numerous presentations highlighted by her entertaining delivery and quick wit. She is also the author of the thoughtful and delightful The Relevant Tea Leaf web blog. The audience sat enraptured, hearing of the life of Joseph L. Hudson – his accomplishments to be sure but even more so his character – his honesty, generosity and commitment to social responsibility. Mr. Hudson was a man decades ahead of his time. His attitudes on valuing the individual, on customer service, corporate ethics, employment policies and giving back to the community set a new standard in American life in the early 20th century. We are truly lucky that his spirit lived on after him both in his company and in his family. More than one visitor commented that Mr. Hudson would be proud of the event occurring in his house that day. The fundraising tea provided a unique opportunity to reach back 100 years and be together with titans of American history: J.L. Hudson, Edsel & Eleanor Clay Ford, Henry Ford, Thomas Edison and others. We shared their home. We attended their wedding. We encountered them as real people living their lives much the same as we live ours … moms and dads, sons and daughters and Uncle Joseph … not just as dusty entries in a history book. They would be happy that their beautiful home is being put to such good use by the Sisters Home Visitors of Mary. They would agree with the vision of universal love that lies at heart of the Sisters’ mission. 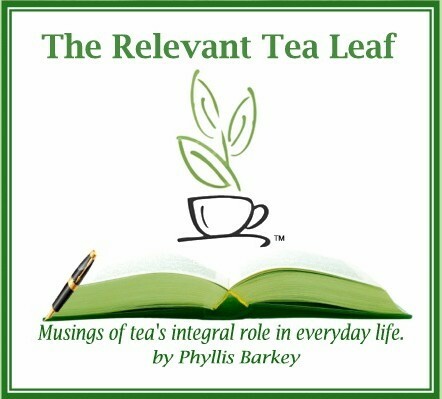 Be sure to click here to see addition photos and comments on the Tea on the delightful The Relevant Tea Leaf blog. And click here to take a virtual photo tour of the beautiful home at 121 East Boston Boulevard. The Sisters Home Visitors of Mary want to express their deepest appreciation to Phyllis Barkey. This event could not have been accomplished without your generosity, expertise, enthusiasm and energy. May you be blessed! This entry was posted in Uncategorized on February 18, 2015 by shvmblog.